Specially designed to calculate the calories burned and pulse heart rate while exercising without the need of a chest strap. It also supports time and calendar display, daily alarm, stopwatch. · 100% New and High Quality 6 in 1 Pulse Watch. · Advanced Electrocardiography Technology ECG Sensor provides accurate Heart Rate Measure. 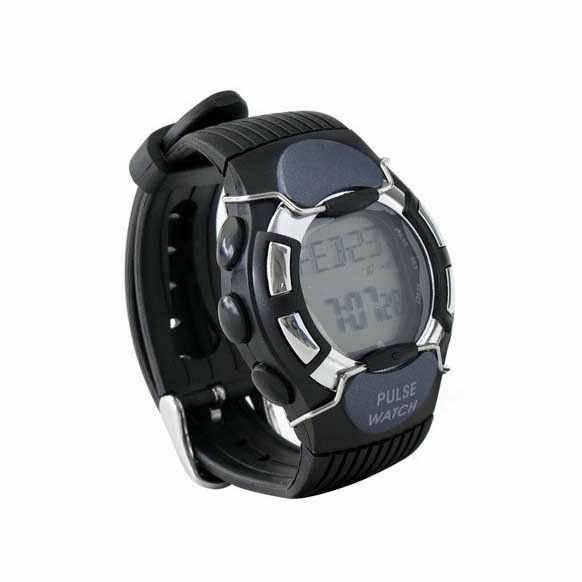 · Pulse rate detector: Built-in ECG Pulse Sensor requires NO chest strap. · Heart Rate Reading with indication of instant heart rate changing. · Exercise Heart Rate measure and Resting Heart Rate measure modes. · Analyze the Heart Rate and calculate the Calories Burnt after exercise. · Exercise Intensity input for Calories analyzing. · Chronograph Stop Watch with split lap time for recording exercise time.